Protein - 6.5 g (13 % of RDA). Folic acid - 39.15 mg.
Amino acid - 1.06 g.
Vitamin B12 (in egg white) - 0.1 mg, (in egg yolk) - 2.2 mg.
How Is It Beneficial for Us? Egg protein has the highest nutritive quality as compared to any dietary protein. 60 % of the total protein is found in the egg white, while the remaining 40 % is found in the yolk. Fat and cholesterol carry fat-soluble nutrients like vitamin D, vitamin E, vitamin A, choline, and carotenoids in the egg yolk, which plays a significant role in the absorption of these essential and important nutrients of the egg. Eating eggs can help in pregnancy, it helps in the development of the child's brain, eyes, and overall growth. It reduces the risk of stroke by 12 %. New research shows that adding eggs to a salad increases vitamin E absorption. According to recent studies, one egg per day is good for a healthy adult. 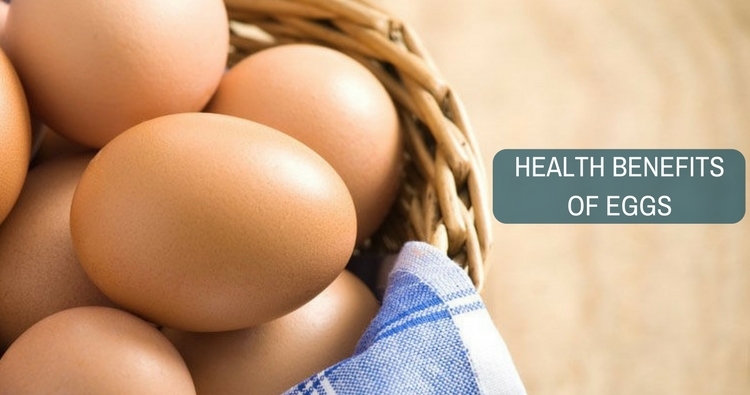 Consuming six eggs per week does not increase the risk of heart failure. We should not consume more than 300 mg of cholesterol per day; an egg already contains 47 % of daily cholesterol requirement. Nutrition experts agree that eggs are very healthy for our body, as they are a good source of high-quality proteins, which are essential for building and maintaining strong muscles. Do you have a question on Highly Nutritive Food or Nutrition Facts?